The closure starts Wednesday and is expected to last 90 days. Commuters will park in lots blocks away and take town-financed shuttles to the LIRR station for the duration of the repair project. 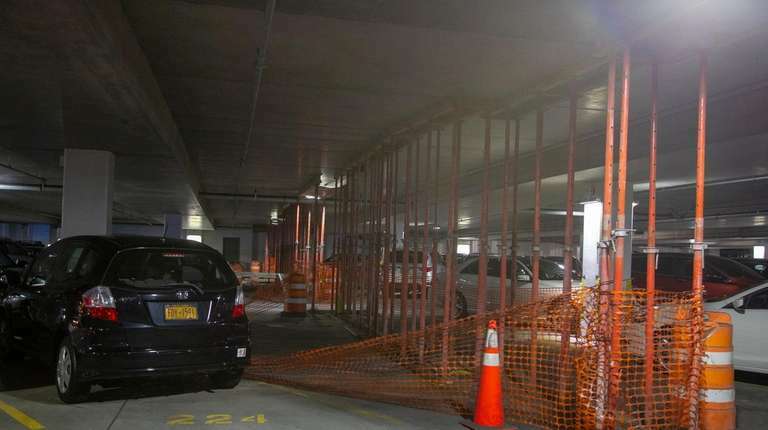 Oyster Bay’s leaking, cracking Hicksville parking garage closes for major repairs Wednesday, leaving more than a thousand commuters scrambling to find new places to park near the Long Island Rail Road station. Drivers who have filled the garage's 1,441 spaces quickly each weekday morning will find spots in new parking lots the town will make available blocks away, with shuttle service to get to the LIRR station or find alternate stations. Michelle Rossetti, of Syosset, said she will start driving to the Syosset LIRR station — about the same distance from her home as the Hicksville station — even though there is more frequent service from Hicksville. 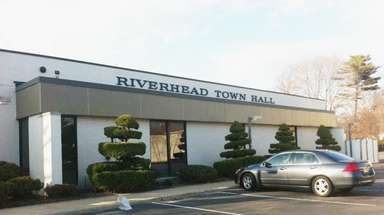 The $13.9 million repair project is expected to last 90 days, according to town documents, although Town Supervisor Joseph Saladino has not given a precise timeline, other than to say the garage would reopen before the end of the year. The garage has been beset by problems since shortly after it opened in 2011. Ceilings have cracked, concrete has fallen onto cars, water has dripped from roofs and excessive moisture in stairwells has created trails of rust on the walls. About 200 spaces were taken out of use in the four-floor garage months ago because of the problems. 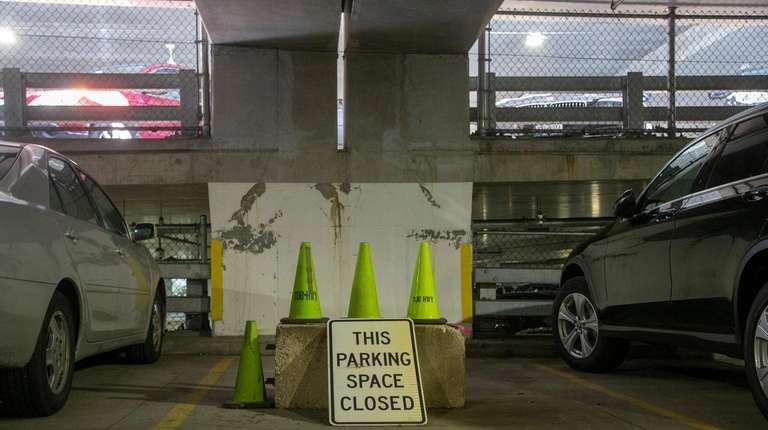 The garage replaced a 37-year-old parking structure that was closed in 2008 after workers found cracks in concrete-and-steel T-beams. The town spent about $65 million to demolish the old garage, build the new one, and pay for related costs. Metal posts were installed in the new garage nearly a year and a half ago to help support some of the most severely cracked slabs in sections of the garage’s two lower levels. Those slabs, which make up the roof of one level and the driving and parking surface of the level above, will be replaced entirely. Lorena Izzo, 45, of Plainview, said she probably will get up earlier each morning starting Wednesday, at least for the first few days, as she searches for parking alternatives. She said she probably will look for parking at existing town surface lots near the station. Izzo, a teacher in Queens, said she wished the town had kept its original plan of closing the garage from early July to early October. “I really think it’s a bad idea as all of the teachers have just started school,” Izzo said Thursday. Town officials changed the closure dates — even though July and August are the lowest-use months for the garage — after they rejected the first round of construction bids as too high. The town is leasing the parking lot of the shuttered Hicksville Sears store — more than half a mile from the LIRR station — for parking during construction. Only vehicles with Town of Oyster Bay parking permits will be able to use the Sears lot. Five 28-passenger shuttle buses will run every few minutes from the lot, which will be open 24 hours, a town spokesman said. The parking lot will be filled row-by-row as commuters arrive, and the buses will stop near where commuters park. 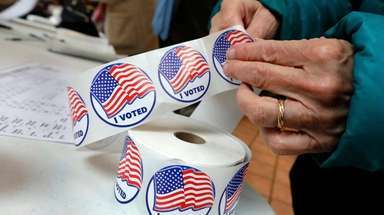 The buses will run weekdays from 5 to 9 a.m. and from 4 to 8 p.m. During the first week, the town will evaluate whether there is enough demand to run the shuttle until 9 p.m., the spokesman said. 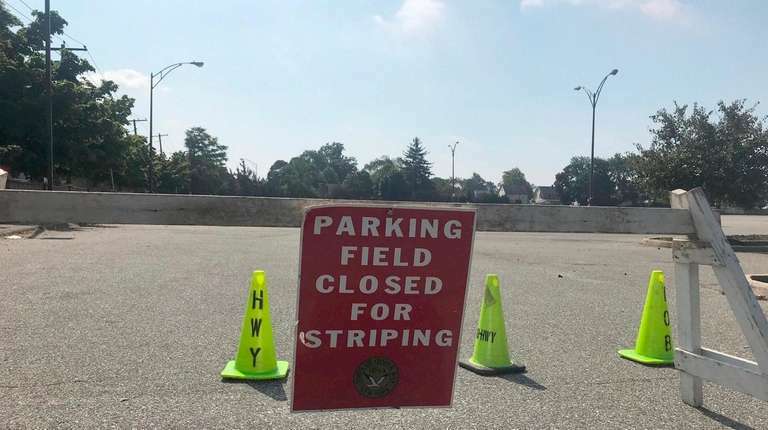 The town plans to have 1,441 spaces available at the Sears lot once re-striping is complete, the spokesman said. Additionally, all-day permit parking is available at 14 existing commuter lots near the LIRR station. The town board on July 24 approved a $13.9 million bid for the repairs from Pullman SST Inc., a Swedesboro, New Jersey, company. 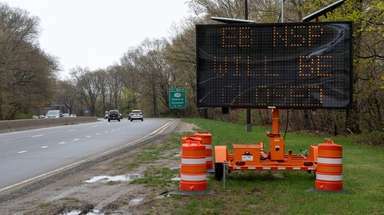 The shuttle buses will cost about $144,000, funds the town hopes to recover as part of a lawsuit it filed last year against companies involved in the construction of the garage, a town spokesman said. The owner of the old Sears property, Manhattan-based Seritage Growth Properties, is leasing the lot to the town for free, the spokesman said. 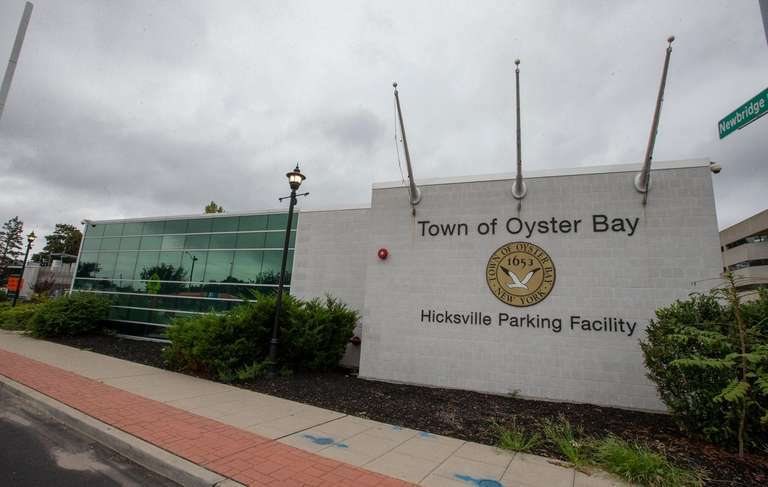 The largest part of the renovations will be to remove and replace four large supporting slabs — each roughly 120 feet by 20 feet — that have major cracks, said Oyster Bay Public Works Commissioner Richard Lenz. 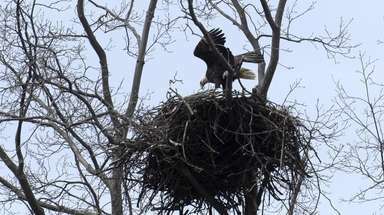 Continued cracking could endanger users. Cracks in other sections of the garage will be repaired with injections of concrete or with carbon fiber reinforcement, which strengthens the slabs, or both techniques, said Matt Russo, a civil engineer with the town. Some cracking is normal, Russo said. But after the repairs and strengthening of slabs, “the significant cracking that the garage has shown recently — we shouldn’t see anything to that extent,” he said. To prevent “ponding” of water in the garage, the drainage system will be replaced. Machines will be installed in stairwells to reduce moisture and prevent the mildew and rusting that have been common on stairways. The ventilation system will be improved. 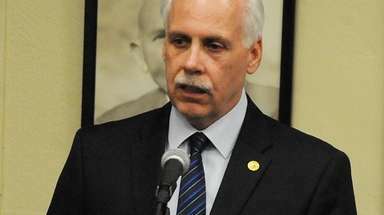 Lighting, security, fire-detection and carbon monoxide detection systems are to be replaced. Sidney B. Bowne & Son: An engineering firm based in Mineola that Oyster Bay hired to design the Hicksville garage and manage its construction. Since last year, the company has sold many of its assets to Syosset-based LiRo Group. Peter Scalamandre & Sons: A Freeport-based construction firm that built the Hicksville garage for Oyster Bay. Hirani Engineering & Land Surveying: A Jericho-based civil engineering firm that Oyster Bay hired last year to investigate the causes of the cracks and leaks at the Hicksville garage and to develop the approach to repairs. Pullman SST: A Swedesboro, New Jersey-based construction company and subsidiary of Columbia, Maryland-based engineering and construction firm Structural Group, that Oyster Bay hired to repair the Hicksville garage. Oyster Bay last year sued the two main contractors responsible for building the garage — Freeport-based Peter Scalamandre & Sons Inc. and Mineola-based Sidney B. Bowne & Son LLP — alleging that the companies failed to correct substandard work at the garage.